This card cannot be Special Summoned from the Graveyard. 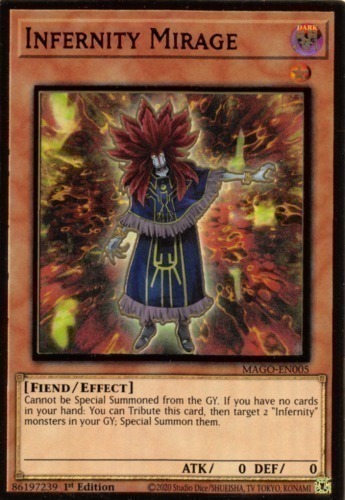 If you have no cards in your hand, you can Tribute this card to select 2 "Infernity" monsters in your Graveyard. Special Summon those monsters.